From time immemorial, the thinking man has pondered the origins of the Universe and his role in the cosmos. Scientists in the early 20th century brought forth The Big Bang Theory to explain the creation of the Universe. Recent scientific research, however, provides compelling evidence that the age of the Universe could be infinite. Was there a singular starting point of the Universe? What if the Universe has existed forever? The Big Bang Theory postulates that our Universe did have a definite beginning. Prior to that, there was nothing. After that moment, there was something: our Universe. According to this theory, our Universe came into existence as a “singularity” approximately 13.7 billion years ago. Singularities are thought to exist at the core of black holes, which are areas of intense gravitational pressure. The pressure inside a black hole is thought to be so intense that finite matter is actually smashed into infinite density. The Big Bang Theory argues that our known Universe began as an infinitely small, hot and dense singularity. Then there was an explosion at which time the singularity inflated and then cooled. The Universe changed over millions of years from something tiny and very hot to the Universe’s current size and temperature. And the Universe has continued to expand and cool throughout history. Thus, the Big Bang Theory provided a scientifically-based explanation of what happened at the very beginning of our universe continuing until our current time. 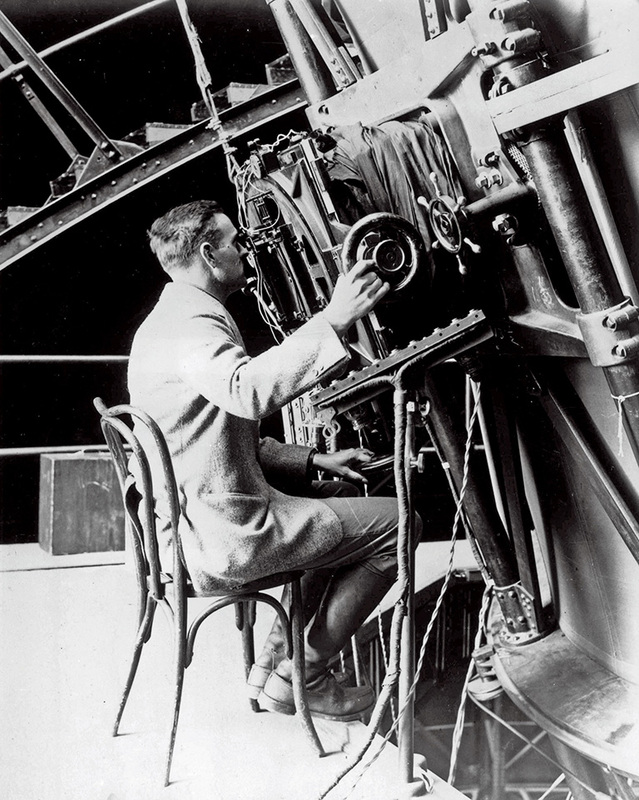 In the 1920s, Edwin Hubble studied distant spirals in the deep skies, measuring the individual stars within the spirals and determining the brightness of each star. By combining these measurements with their movement and brightness, Hubble deduced that the Universe was expanding from a once compacted state. If the Universe was smaller and denser in the past, The Big Bang Theory argues that the Universe expanded from a smaller state to reach its current point. In the 1940s George Gamow added to the theory by postulating that if the Universe was smaller it must also have been hotter. Defined by its wavelength, radiation’s energy and temperature stretch as the fabric of space expands. Thus, if the Universe were smaller, radiation wavelengths were condensed and created a higher temperature. Extrapolating backwards, there is a point reached when radiation becomes too energetic to form neutral atoms. In the 1960s, Arno Penzias and Robert Woodrow Wilson experimented with the Holmdel Horn Antenna, built to detect radio waves bounced off Echo balloon satellites. When Penzias and Wilson reduced their data, they discovered a persistent low, steady and mysterious noise. Certain that the radiation they detected on a wavelength of 7.35 centimeters did not come from the Earth, the Sun, or the Milky Way Galaxy, they eventually postulated that it was the radiation left over from an explosion that filled the Universe at the beginning of its existence. They termed this remanent energy, Cosmic Microwave Background Radiation. Their work helped to cement the wide-scale acceptance of The Big Bang Theory. Modern scientific research demonstrates compelling evidence against the concept of a singularity as the beginning of the Universe. Astrophysicist Ethan Siegel argues that instead of the singularity point, the Universe transitioned from a prior state, not filled with matter, antimatter, radiation, neutrinos, etc. Undergoing a period of Cosmic Inflation, this pre-Universe was filled with a form of energy inherent to space itself and expanded slowly without a change in energy or temperature. In the phase of Cosmic Inflation, there was an exponential expansion that stretched the Universe flat and wiped out any ultra-massive relic particles and topological defects. Ending approximately 13.8 billion years ago, Cosmic Inflation set up the conditions that lead to a Big Bang event, thus creating our known observable Universe. This theory adds the fascinating possibility that we may be living in a multiverse and our observable Universe is just one of many Universes. In February of 2015, two physicists, Ahmed Farag Ali, Professor at Benha University in Egypt, and Saurya Das, Professor at University of Lethbridge in Alberta, Canada, pub lished “Cosmology from Quantum Potential.” Their work proposes a “corrected” version of Einstein’s Theory of General Relativity and demonstrates inaccuracies in the current Big Bang Theory. In the new formulation, the Universe did not originate from an infinitely dense singularity. In fact, the “theory suggests that the age of the universe could be infinite” according to the study co-author Saurya Das. Moreover, Das and Ali’s research utilized Bohemian Mechanics to reconcile two of the most dominant theories in physics, Quantum Mechanics and General Relativity. Using this form of quantum theory, the researchers calculated a small correction term that could be included in Einstein’s Theory of General Relativity. In the new formulation, there is no zero-point singularity, and the Universe is infinitely old. The Masonic Philosophical Society was established with the primary ambition to destroy ignorance. Which begs the question, “What is ignorance?” Perhaps ignorance is accepting what others tell you or what you have been taught without qu estioning. Instead of blindly accepting a concept like The Big Bang Theory as fact, Masonry teaches an individual to question why we believe something, to do our own research, and to consider other points of view. By questioning our preconceived notions, we open new doors of insight into how our world works and our role in the cosmos. « Who put the Enoch in Enochian?